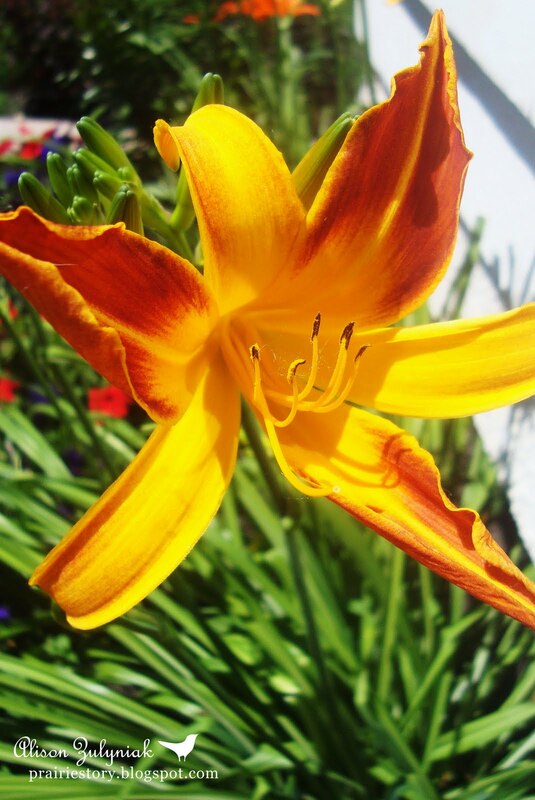 And here is one of my Daylilies! Daylilies are the common name of the genus Hemerocallis which means "day" and "beautiful" (Greek). Most flowers open at sunrise then close at sunset. These perennials come in thousands of colors. I really like the vibrant combination of the yellow and burgundy on mine!